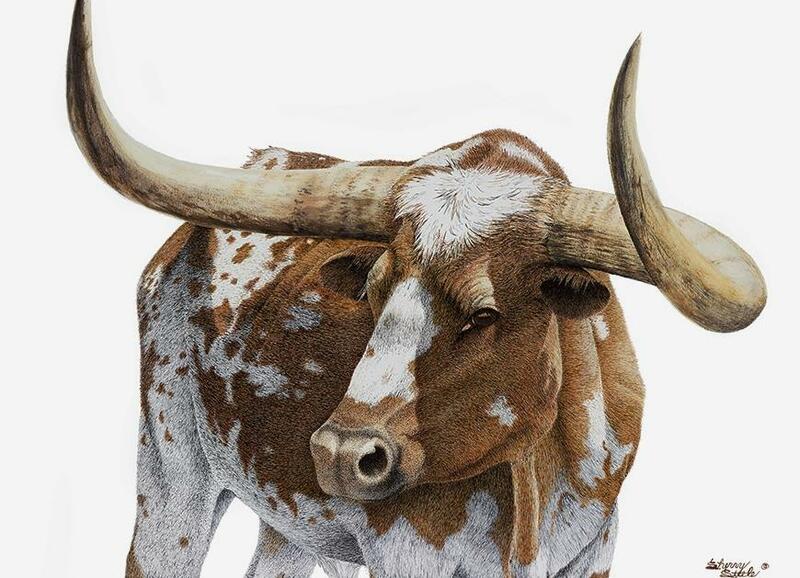 Triggered by the invitation to speak at the dedication of the final two pieces in the University of Texas Longhorn Art Series, it was a powerful reminder of how much I love this species. Referring back to my sketches made over the years at the Durnal Ranch in Western Nebraska, I was reminded of the beautiful sight of Longhorns spread across the hills and bluffs around Chimney Rock. Oftentimes this magnificent steer named “Charlie” would amble toward us as we checked the water and rode through the canyons in search of new calves. This is finally his time to be immortalized in ink.